I am getting notifications from sites I have visited in the past such as SitePoint. 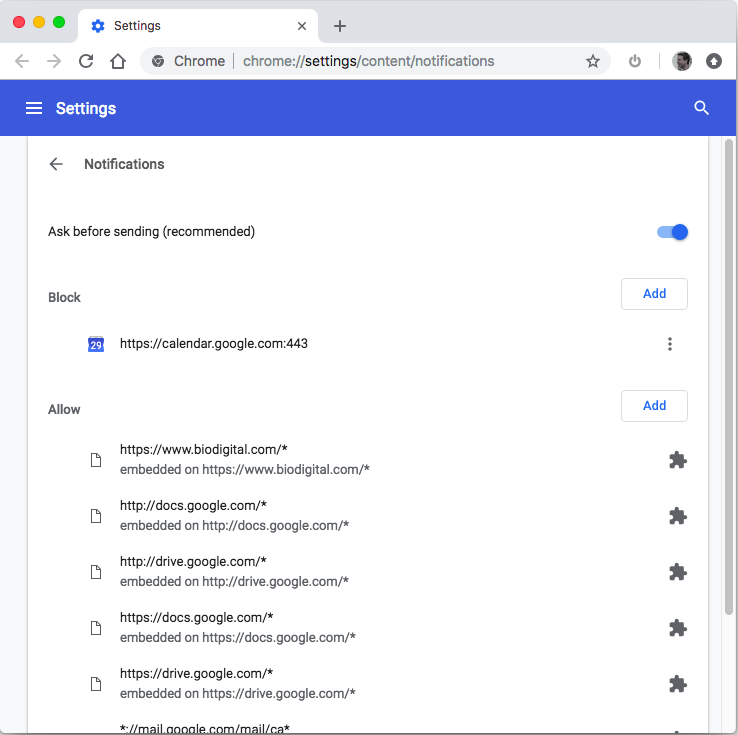 I have gone to the Chrome extensions and I do not see it there and I checked out my MacBook notifications, nothing there regarding these sites and yes I have also checked out the Internet Accounts, nothing there either. How do I stop receiving those annoying notifications from these vendors? I don't mind the alerts, I just want to end them for some particular vendors. The notifications with jigsaw piece icons next to them are set via their corresponding Chrome extension. Those with three vertical dots next to them can be blocked/allowed, edited or removed. Go to safari preferences and then in websites tab. Second last in the list is notifications. Edit whichever you want. Might have similar for chrome. I don’t use it so don’t know. In Firefox, searching settings for permissions gives me the option. Not the answer you're looking for? 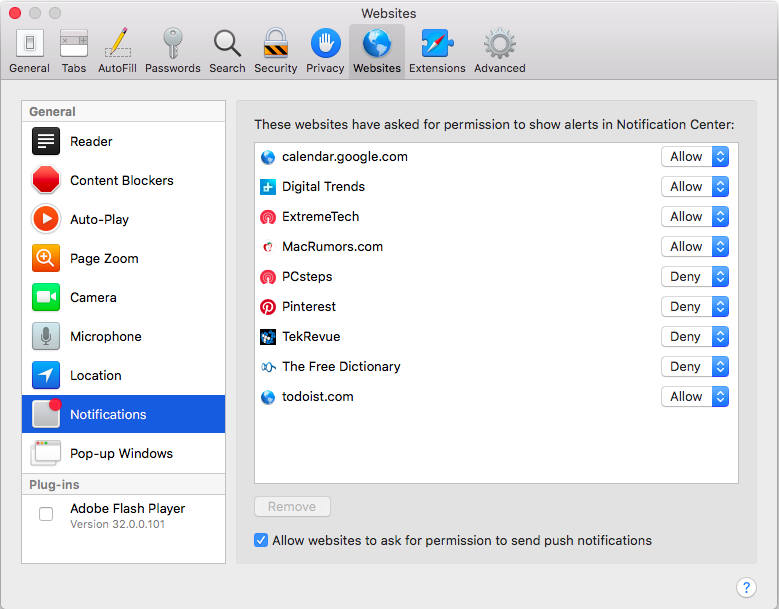 Browse other questions tagged safari google-chrome notifications notification-center . Chrome notifications not appearing on both monitors (dual monitor)?